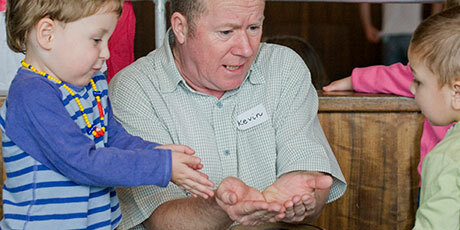 Kevin’s pioneering work in early childhood education is well known and highly respected. He has a natural rapport with very young children, and a knack for finding lively, inventive ways of communicating with them and helping them to find their voices. 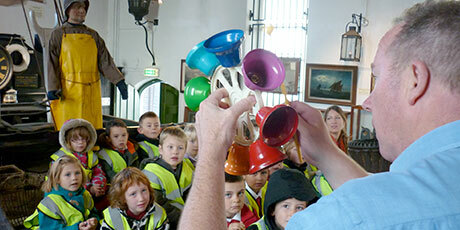 Kevin’s storytelling with our Early Years children was utterly captivating! He made them part of the story in such a kind and subtle way. 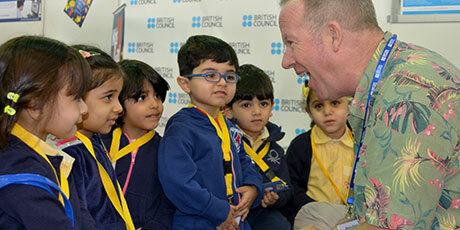 Great for developing children’s speaking and listening skills. 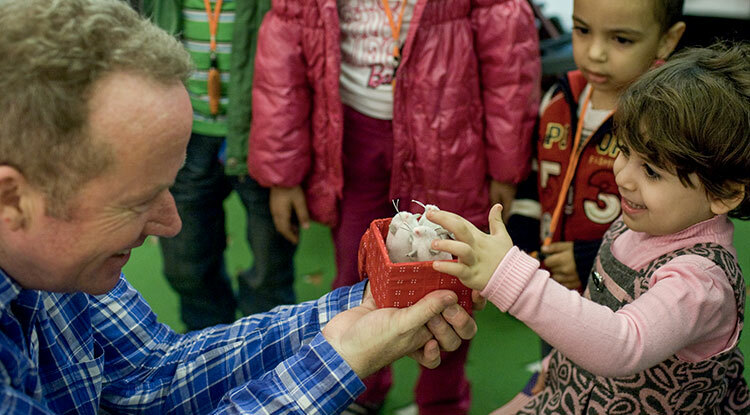 For more than 30 years Kevin has been providing storytelling and related arts activities in Early Years settings as well as tailor-made Early Years projects and programmes in arts centres, museums and art galleries. 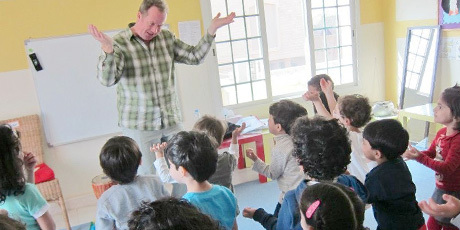 In recent years, this work has taken him abroad on assignments for the British Council exploring the role of storytelling in early language development. He has also contributed to award-winning recordings of stories, rhymes and songs for babies and toddlers, and training and resources for Early Years professionals. The children were very involved, including quieter and less confident children who were excited enough to forget their inhibitions and participate. The spin-off work from the sessions is very rich and will continue to provide ideas for ongoing projects. Kevin’s work in Early Years education takes him to a wide range of settings including Nursery and Reception classes in maintained and independent schools, day nurseries, Sure Start Children’s Centres, play-groups and play-schemes. His storytelling in these contexts combines stories and story-making, rhymes and action songs, role-play, picture-making, craft activities and dance. Thank you so much for the amazing story with musical accompaniment. Your approach to storytelling is engaging, inclusive, original, educational and ... lots of fun! The overall focus of this work - always nurturing creativity and fostering communication skills - is closely linked to the Early Years Foundation Stage Statutory Framework and in particular those sections dealing with personal, social and emotional development. Kevin’s emphasis on rhythm, rhyme, repetition and interaction together with his use of musical instruments, small props and puppets ensures that even the most reticent toddler is happily engaged in the storytelling experience. Kevin can always be relied on to come up with exciting, age-appropriate stories and activities which link in imaginative ways to our programme of exhibitions and events. 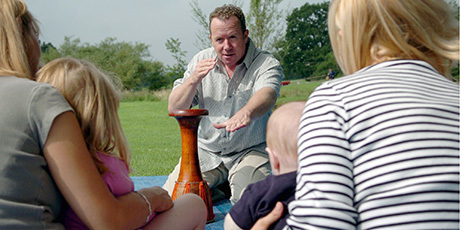 Kevin’s tailor-made projects and programmes for very young children are wide-ranging; from family learning schemes in leading arts and cultural centres to outreach and development work with community-based organisations, and teaching and training assignments in schools in the UK and abroad. A monthly series of stories, rhymes, games and art activities for pre-school children and their parents and carers at this modernist architectural masterpiece on the East Sussex coast. 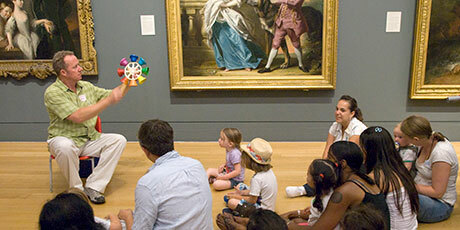 Storytelling sessions and family learning workshops inspired by artworks in the gallery as part of an annual programme of activities for pre-school children and their families. 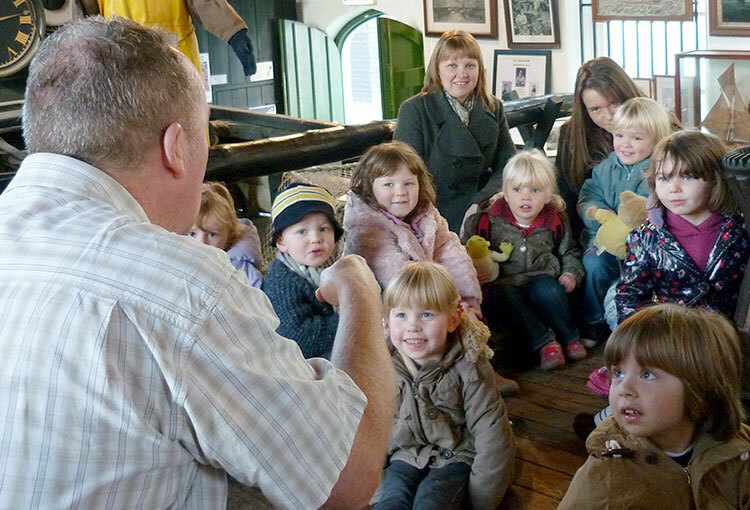 A series of 16 storytelling performances for local nursery and EYFS primary school groups on an early 20th century fishing boat preserved inside the Fishermen’s Museum in Hastings. A 3-year programme of demonstrations and training workshops exemplifying key principles and top tips for storytelling with picture books and bringing stories to life for preschool children. 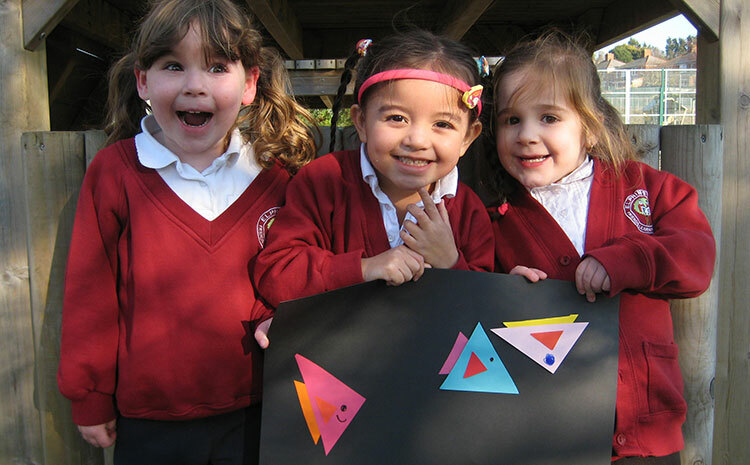 Residencies supported by Arts Council England in 3 East Sussex Primary Schools working with Nursery and Reception children and their teachers on creative approaches to the EYFS curriculum. My 18 month old grandson, who is usually quite a fidget, sat enthralled throughout. We will certainly be back! Kevin Graal’s voice is particularly lovely to listen to, it is very gentle without using the patronising tone people sometimes adopt when singing to children. He is a top-class performer. Kevin’s many contributions to publications and recordings for preschool children are always popular and well-received. Playsongs Rhyme Time, his most recent recording (Playsongs Publications Ltd, 2017), brings together 22 downloadable fingerplays, tickle rhymes, knee bouncers, rocking songs, peekaboo games and lullabies for babies. 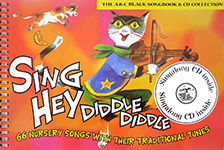 A book and CD of 66 nursery songs with their traditional tunes - a standard resource in Early years settings - performed by Kevin and singer Vivien Ellis, with guitar accompaniment by Missak Takoushian. 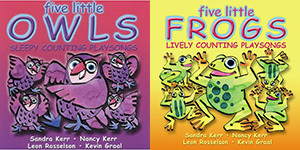 Contributions to 2 CDs of rhymes and counting-songs for 2-7 year-olds performed by Kevin, Sandra & Nancy Kerr and Leon Rosselson. Narrating three stories about the seasons and three modern nativity stories by contemporary children’s authors for a series of ‘mini-musicals’ designed to be performed by children in Early Years settings. 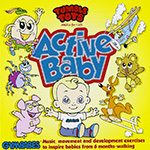 A CD of play-songs and developmental exercises for babies and toddlers designed to encourage full use of all the senses. 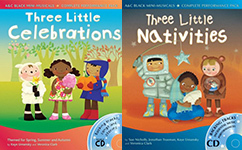 Co-performer on CDs to accompany a prize-winning series of books, CDs and CD-ROMs with lesson plans and resources for EYFS practitioners and teachers. Co-author of resource for Early Years practitioners as part of Number & Play, a series of handbooks and toolkits on developing numeracy and literacy with pre-school children.